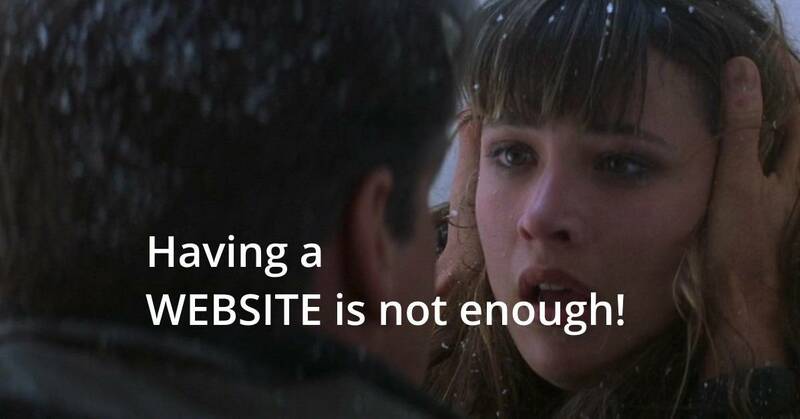 Having a website is not enough! If you want to up your website on search engine, here’s what small business websites are doing to rise above the competition and also traffic. As a small business owner, you are probably aware by this point that you need a beautiful website to succeed and shape your business. Sure, there are some businesses out there who can get by without them, like successful independent restaurants that bloom on word-of-mouth, but these tend to be the exceptions, rather than the rule. In 2017, 71% of small businesses have a business website (by a survey result), and 92% of those without a website say they will have one before 2019. With numbers like those, small businesses can’t imagine that just having a website will give them a good business. Now, small business websites need to do more than just being a placeholder—they need to provide value to customers. If you want to up your website ranking, here’s what successful small business websites are doing to rise above the competition. A website that loads slowly will create a bad impression on website visitors. So website loading speed plays a vital role along with beautiful layouts. It’s not a panic task to create a modern, beautiful website thanks to pre-designed themes on sites like WordPress and Squarespace, and you can hire any web developer to help you, if you do not know the basic web skills. Confirming every page of your website loads quickly may seem irrelevant, but people have very short attention spans, and a few seconds of wait time can turn visitors away. 45% of people will click away from a website if it takes more than 3 seconds to load—and 50% expect it to load in 2 seconds or less. Loading time matter! Knowing who your ideal clients are is key to making an attractive website. Your messaging can’t possibly speak to all at once, so you must to know who makes up your target audience before you create (or redesign) your website. Knowing and catering to their specific audience made the difference for the association. They may not be a small business firm, but these principles also apply to organizations no matter how big and small. Just as many small businesses are getting used to the idea of having an online presence; many users are shifting from pc to mobile devices much of the time. Basekit reports that 91% of small business websites are not mobile optimized, which indicates a large gap between what consumers want and what businesses are offering. Small businesses can get a competitive advantage by ensuring that they have a responsive webdesign that works just as well on mobile as on a desktop. Small businesses can give more convenient options to customers by thinking about the future. Offering mobile wallet options such as Paytm, Phonepe for payment in-store is a great way to make payment convenient, but there are even more buying options that customers are interested in. For example, have you ever considered selling used stuff online? If you’re older, that may not sound interesting yet the younger generations have formed what is now called the sharing economy, with 50% buying used or second-hand goods online. If you’re looking to get a good benefit, you should consider acceptance such developing trends early. Sure, the sandwich board is a real marketing tool for bringing in customers walking by your store. But what about your online customers who might only find you online? They’re not likely to find your website if you don’t do any digital marketing or SEO (search engine optimization). If no one can find your website, they’re not going to order from you—and the only way to lead them to your site is by using marketing techniques like content marketing, social media marketing and email. Nowadays people use the Internet like a giant phone book, so your online presence is very important. If you’ve only just developed your first website, it may seem unsatisfying that it won’t be enough on its own to bring in significant new business. The field of digital marketing is an ever-changing landscape that rewards innovation and early adoption. The good news is that there is a lot of info out there, and if you put in a small effort, you can easily increase above the race and create a effective digital presence for your business.